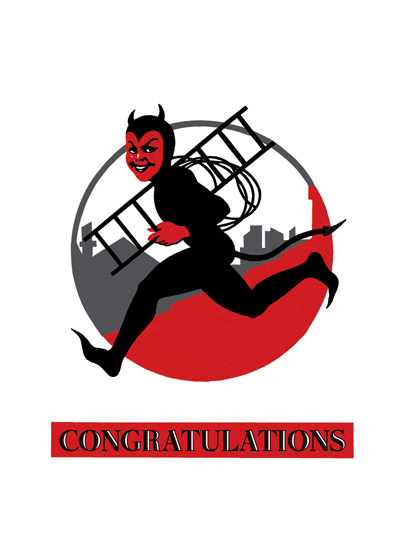 A devil boy conveys jaunty congratulations in this image reproduced from an advertisement for chimney sweeping services. Inside Greeting: You did it! you little devil you.